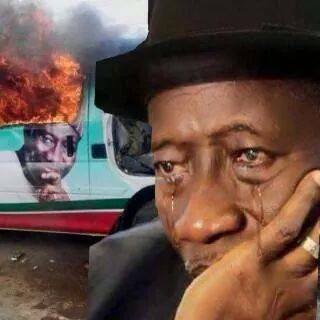 This is WOW News 247: Goodluck Jonathan Nearly Lost His Life Abroad As Nigerian Govt. Froze His Bank Account in Nigeria? Goodluck Jonathan Nearly Lost His Life Abroad As Nigerian Govt. Froze His Bank Account in Nigeria? The Federal Government on Friday debunked the claims by some protesters in Bayelsa state that the allowances due to the former President Goodluck Jonathan were stopped and his accounts frozen. The Senior Special Assistant on Media, Garba Shehu, on this issue stated that, “We have confirmed with the Secretary to the Government of the Federation (SGF) that the former President and the other past leaders were paid their allowances up to the second quarter. Meanwhile sources close to Goodluck Jonathan claim that his accounts were indeed frozen. A source said, "Jonathan was abroad receiving treatment when his account was frozen. Before he travelled he informed the President he was going for treatment. The former President was stranded abroad and would have been a casualty but for the timely intervention of others." Another source added that, "They froze Jonathan's account dedicated for medicals abroad. He reached for his money to pay his medical bills while abroad and found it frozen. Help came from friends."